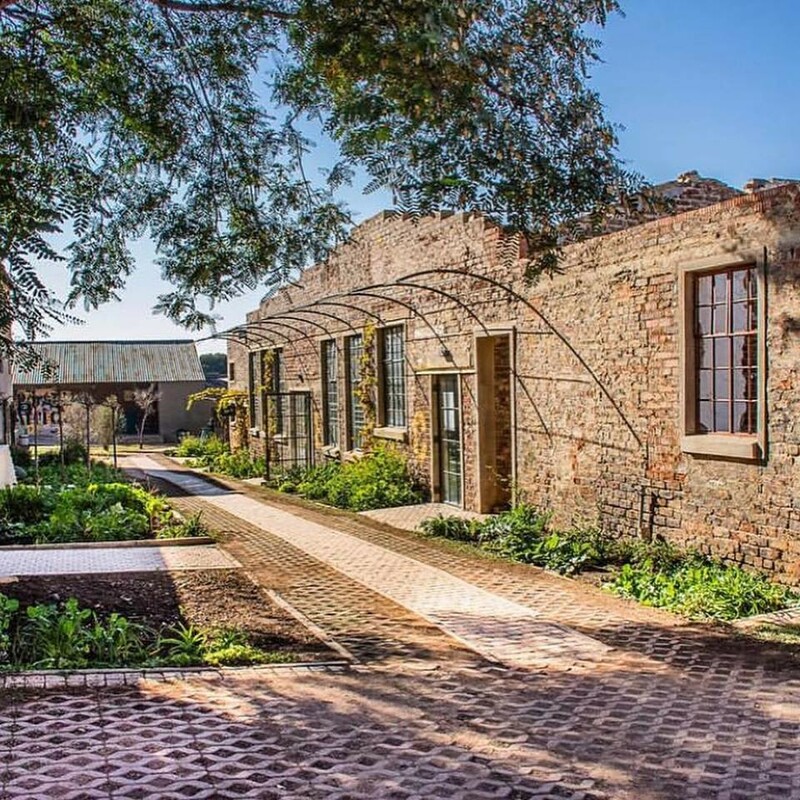 Once a sprawling and derelict complex of light industrial buildings, this sprawling site in Lorentzville in eastern Joburg (30,000m2) is undergoing a spectacular re-imagining. 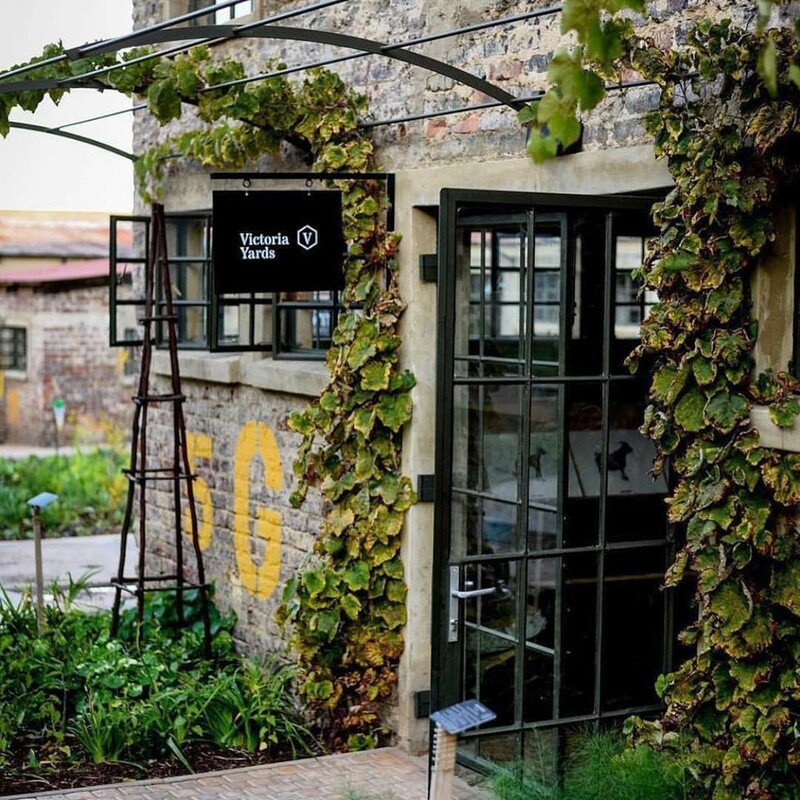 The vision is for a complex of makers, artists and artisans, that will bring life to this downtrodden neighbourhood that lies between the downtown regenerated hipster Maboneng Precinct and Cyrildene's colourful Chinatown. 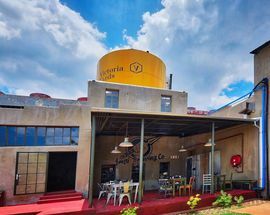 Lorentzville is also home to the headquarters of homegrown grilled chicken giant Nando's, whose global reach has taken peri-peri chicken to new heights. Their headquarters at Nando's Central Kitchen across the road from Victoria Yards (once Nando's sauce bottling factory) is a model of contemporary South African art and design (closed to the public sadly). 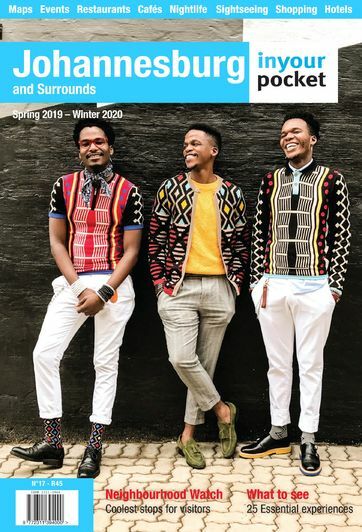 A work in progress the Victoria Yards complex is home to a number of prominent local artists including Blessing Ngobeni, Ayanda Mabulu, James Delaney and world-renowned photographer Roger Ballen. 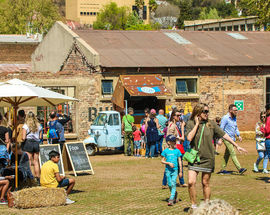 It is also the site of the gorgeous Daville Baillie Gallery showcasing contemporary art as well as selling South African masters, and the Daville Baillie bookshop with a great selection of art books and other interesting titles curated by a leading former arts journalist, writer, editor and curator Matthew Krouse. Other gallery spaces are Art Afrique that specialises in sourcing African art and design pieces and Afropolitan Gallery for affordable contemporary Africa art. 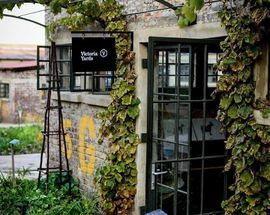 Artisans workshops include the fantastic furniture studio and factory of David Krynauw, the Smelt glass studio where you can take a class in glass-making and glass-blowing and Coote & Wench, a husband and wife team who create magical furniture pieces and lighting from industrial parts. French jewellery maker Helene Thomas's bijou studio Yol is an enticing cavern of exquisite hand crafted jewels. Calling herself a 'nomad jeweller' she combines traditional African bead art work with contemporary designs. Another must-stop is Tshepo The Jean Maker's studio. Tshepo's first crafted pair of jeans, the Presidential Slim Fit', kick-started his denim career in 2015. This was after he abandoned a future in filmmaking for fashion design. Don't leave without a pair of Joburg-designed denims. Buy off the rack or order your own custom fit. Tshepo will even throw in some fashion advice on how best to wear them. And whatever you choose make sure to take a seat next to denim model Timmy who will want to be on Instagram with you. 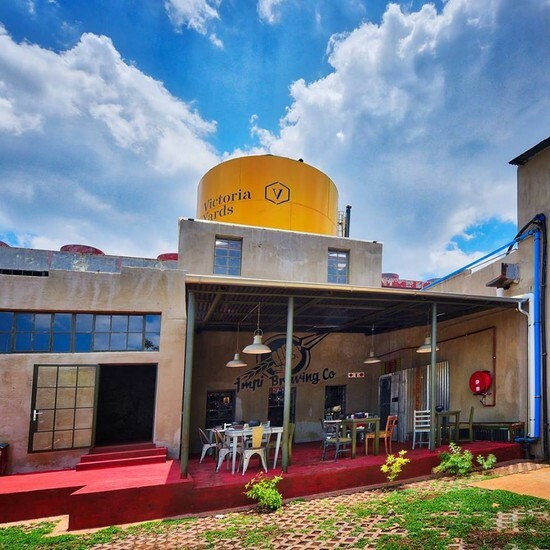 Stop in at Impi Brewery Company, brewers of local craft beer and a great pizza joint (beware not to approach the owner if the place is booked for a function. He can be fierce). We have heard rumours of a new coffee brand joining the place and it cant happen soon enough. If you've visited the boutique shopping complex 44 Stanley in Milpark you'll recognise elements of its cool and contemporary industrial aesthetic, as the two sites share a founder. 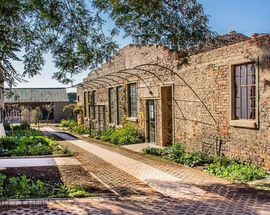 The gardens of Victoria Yards are lush with herbs and medicinal plants and will soon include fruit trees. 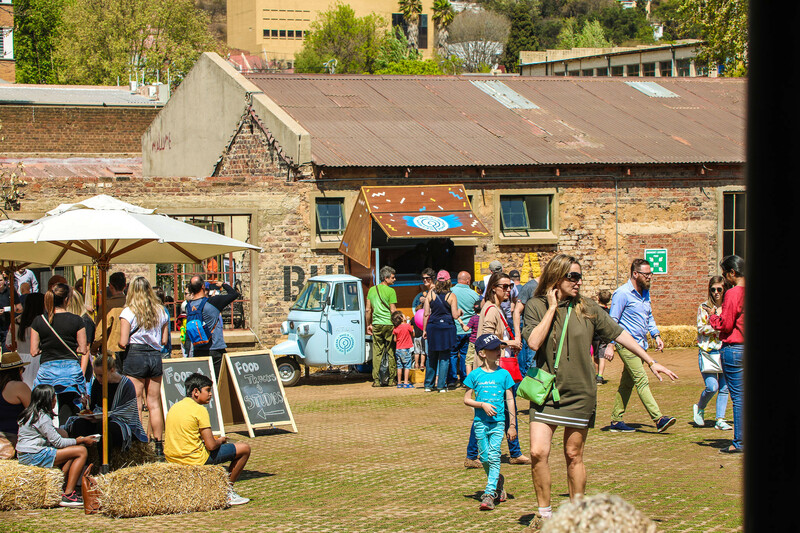 Linking the area to a number of other inner city agricultural initiatives, there are also plans for a produce market in the future.